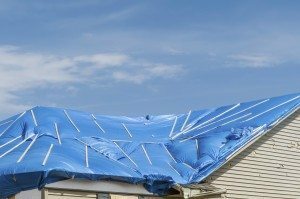 AZ Environmental Contracting, Inc. can help protect your home from further damage with our Board-up and Roof Tarping services, available 24/7. We offer professional services to prevent further damage to your home after a fire, burglary or vehicle collision. Strong winds and hail during a storm can blow off shingles or cause severe damage. It can take weeks to get a roofing company to come out to your home. So don’t wait. AZ Environmental Contracting can provided roof tarping services that provide a resilient barrier to prevent any further damage. We can also inspect and restore any water damage that your leaky roof may have caused inside. We can help you with the insurance claims! Contact AZ Environmental Contracting through our web form or call 623-734-5536.